Did you know there is a way to get in front of more potential clients…and it doesn't cost a thing? Does this claim sound too good to be true? If so, you need to read Social Media for Attorneys That Finally Gets You the Cases You Want as soon as possible. Social media is no longer for the younger generations. It has revolutionized the way that we interact with our peers, family members, friends, and best of all...prospects. And social media is here to stay! Develop a social media strategy that actually works to get you more exposure online, to help develop a herd of faithful followers, and to establish you as an expert in your field. Create dynamic accounts with the major social media websites: Twitter, Facebook, YouTube, LinkedIn and Google+. Determine how much time to allocate to social media. Use social media to get more cases! 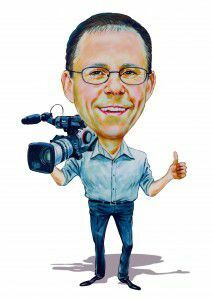 More than any other lawyer in the country, Gerry has taken advantage of video—perhaps the most social tool on the web—to get more cases. He has over 300 optimized videos on his YouTube channel and posts updates to his Facebook 8-10 times a day. Chris Davis with the Davis Law Group in Seattle, Washington, has a great story of how social networking can bring in cases. Chris made a connection on Facebook with an old friend from law school who practices a different type of law. In a matter of days after they re-connected, this friend referred a case to Chris that was worth about $75,000 in legal fees. Not bad! According to Chris, he has gotten cases through Facebook because of his social media relationships with his clients. For example, he has had clients connect with his firm on Facebook. Once their friends (who may have been injured in the same accident) see the Davis Law Group mentioned in a post or on a news feed, they also call Chris’s firm. Are You Letting the Potential of Social Media Pass By? You can bet that your competitors aren't. Don't ignore the dramatic marketing power of social media for another day. Fill in the simple form to request a FREE copy of Social Media for Attorneys That Finally Gets You the Cases You Want. Read it. Act on it. Watch your legal practice flourish.